For God and Country When the Church and the State don't mix. For many, the phrase “for God and country” stirs up feelings of patriotism and pride. The phrase evokes an idea that a cause is both for the good of the country and also aligns with God’s will. Many soldiers hold the phrase dear to their hearts as it is personal reassurance that they fight for a noble cause. After all, the government “does not bear the sword in vain, it is God’s agents of wrath.” This quote from Romans 13 has been used throughout the centuries to justify various nation’s use of violence. Is there Biblical support for a Christian to participate? Let everyone be subject to the governing authorities, for there is no authority except that which God has established. Therefore whoever resists the authorities resists what God has appointed, and those who resist will incur judgment. For rulers hold no terror for those who do right, but for those who do wrong. Would you have no fear of the one who is in authority? Then do what is good, and you will receive his approval, for he is God’s servant for your good. But if you do wrong, be afraid, for he does not bear the sword in vain. For he is the servant of God, an avenger who carries out God’s wrath on the wrongdoer. This interpretation of Romans 13 would logically indicate that God also set up every other nation as an “agent of wrath” that “does not bear the sword for no reason.” After all, Paul says that “there is no authority except that which God has established.” So that means that North Korea’s government was established by God. That means that everyone who died at the hands of Stalin in Russia was “resisting against the authority that God had appointed.” It means that everyone who was killed by the Nazi’s Third Reich was justifiably killed because “rulers hold no terror for those who do right, only for those who do wrong.” Paul makes some pretty terrifying claims at first glance. The idea that “God is on our side” has been an absolute favorite ploy of nearly every national leader throughout recent history. It is a mentality that has worked wonders in the United States in getting Christians to sign up for military service. It worked very well in Nazi Germany as well. The majority of Nazi soldiers were Bible-believing Christians. 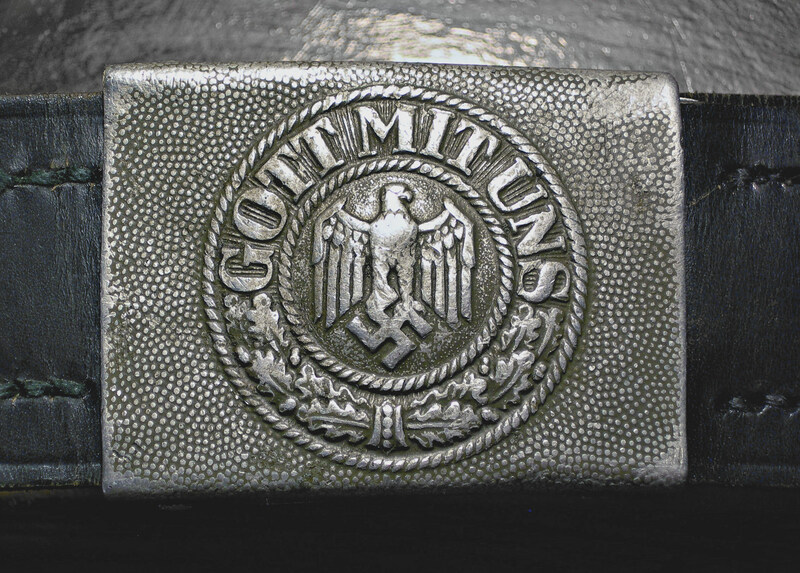 Each and every one of them wore the words “Gott Mit Uns [God With Us]” on their belt buckles. They believed it. We believe it. But is it true? The Greek word that Paul uses that we translate into “established”, is “tasso”. The word can mean ‘to establish’, or ‘to file’, or ‘to order something’, and sometimes is translated as ‘orchestrate’. There are many scholars who argue that Paul, thankfully, isn’t saying here that the way governments are is the way God established them, because then you’d have to conclude that God set up Nazi Germany. Rather, what he’s saying, is that God will work with the governments, evil or good, to create some kind of order. Whether he likes them or not, he’ll use them according to the kind of government they are. Because he is a redemptive God, he can use the most evil schemes of oppressive government, turning them on their heads to advance his Kingdom. While God works with the governments he finds, it doesn’t mean that God approves of every government’s every action. Empires are a major enemy of God. Romans 13 isn’t about you. Romans 12 is about you! Being a Christian means being a citizen of the Kingdom of God. We aren’t citizens of America, or Germany, or any kingdom of the world. We have our own government, we have our own army. The main reason Paul addresses what he does in Romans 13, is to speak into the desire to revolt against Rome. There was a constant temptation to be drawn into violent revolutionary movements. Paul is telling the church in Rome to resist that urge and to follow the way of Jesus instead of the way of the sword. Paul, known for carefully crafted word-play and intentional literary structure, uses a clever word illustration when he goes on to explain the role of governments. In Romans 12 and 13, Paul uses the words “revenge”, “avenger”, and “vengeance”. In the original Greek, Paul uses a single root-word for all three, the word “ekdikeo”. He says “[Christians], do not take revenge (ekdikeo) for ‘vengeance (ekdikos) is mine,’ says the Lord” (Romans 12:19) Paul then goes on to say that “government is a servant of God, an avenger (ekdikos) who carries out God’s wrath on the wrongdoer” (Romans 13:4). Scripture says here that Christians shouldn’t act out ekdikeo. Why? Because ekdikeo is for God to handle. How? God uses governments to act out ekdikeo. 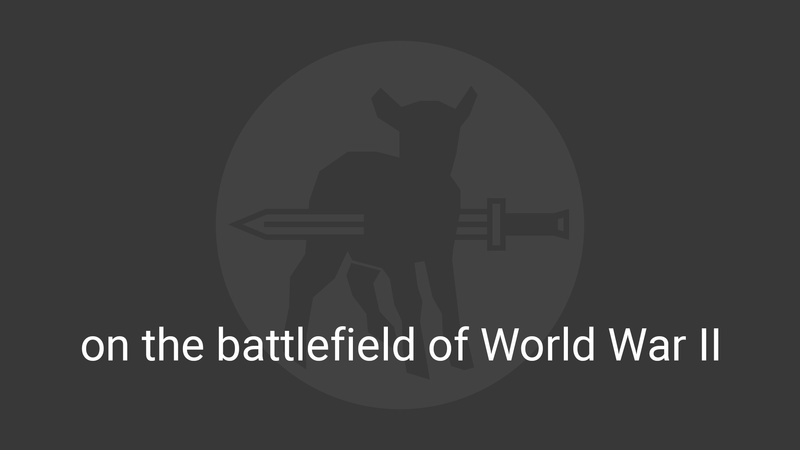 The governments— bearers of the sword— are agents of God’s ekdikeo. They are not held to the same high standard that Christians are held to. Governments do ekdikeo, Christians don’t. 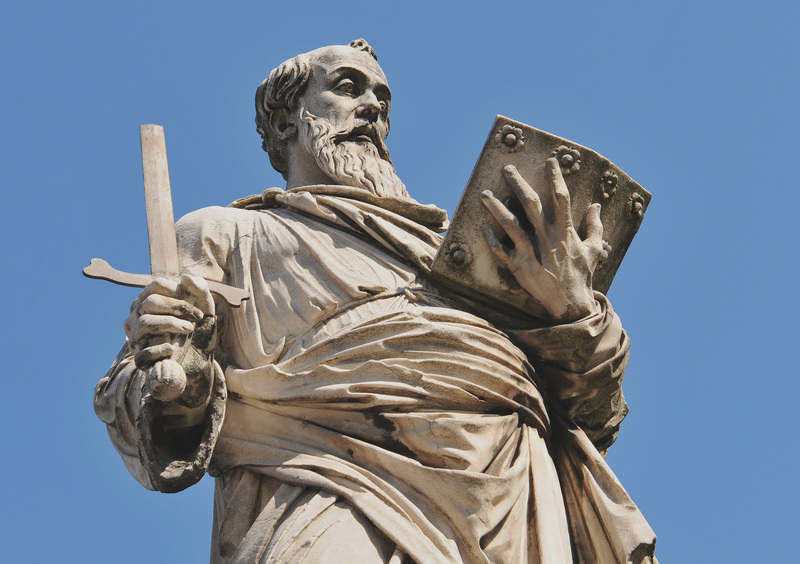 Any role that requires us to aggress in order to achieve justice is not the role of the Church, it is the role of the State. How can Christians “love their enemy”, “not take revenge”, “never repay evil for evil”, “feed their enemies”, and “live at peace with everyone” if they are they are also a “servant of God, an avenger who carries out God’s wrath”? Paul is making the claim that they can’t. If Christians take the commands of Jesus seriously, Christians should make pretty lousy soldiers. Instead of dropping bombs, they would be saying prayers. Instead of throwing hand-grenades, they would be sending blessings. Instead of firing bullets, they would be serving meals. God has a radical calling for followers of Jesus. Paul gives us a clear guide on the differences between the State and the Church in Romans 12:9-13:7. It should come as no surprise that Paul would claim that “the weapons we fight with are not the weapons of the world” (2 Corinthians 10:4). Christians have a different role to play in shaping the world. Our weapons aren’t swords or guns, arrows or bullets. And that makes sense since our true enemies are not physical, they are spiritual (Ephesians 6:12). Jesus knew that his followers shouldn’t be warriors. The apostles knew it. Paul knew it too. Most surprisingly though, a Roman Emperor knew it as well. The early church, up until Christianity was co-oped by empire in AD313, without exception, did not allow those in the military or government to be baptized. Those that were baptized were forbidden from killing. After Emperor Constantine made Christianity the official religion of Rome, all that changed. Now soldiers were required to be baptized Christians and Romans 13 was used to justify killing in the name of Jesus. Despite perverting the Christian religion, it seems Emperor Constantine knew he shouldn’t be baptized while living the life he was. Constantine waited until he was on his death bed to be baptized. Following his baptism, Constantine refused to wear the imperial purple and died wearing a white baptismal robe. It seems he knew he couldn’t live out Romans 13 and Romans 12. Jesus has a better way.